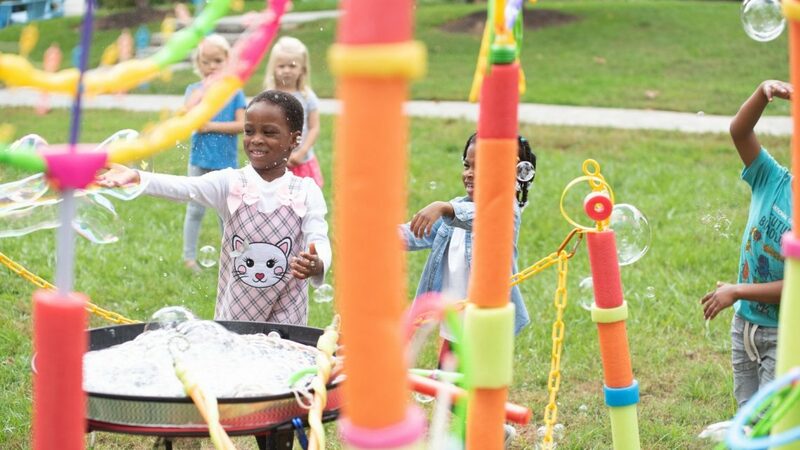 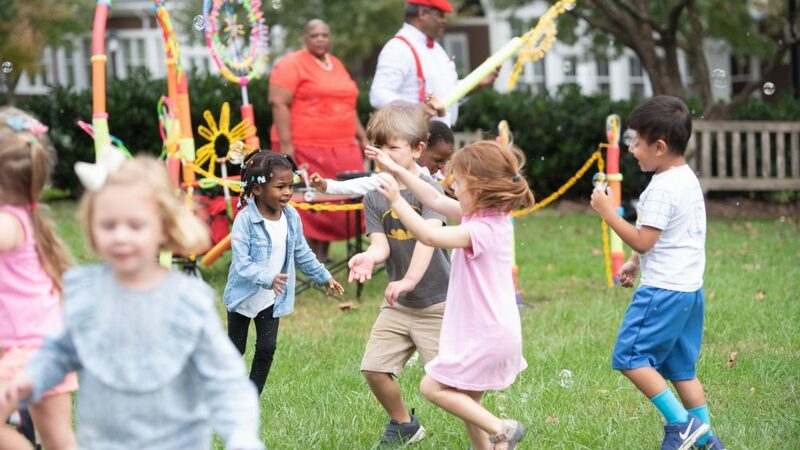 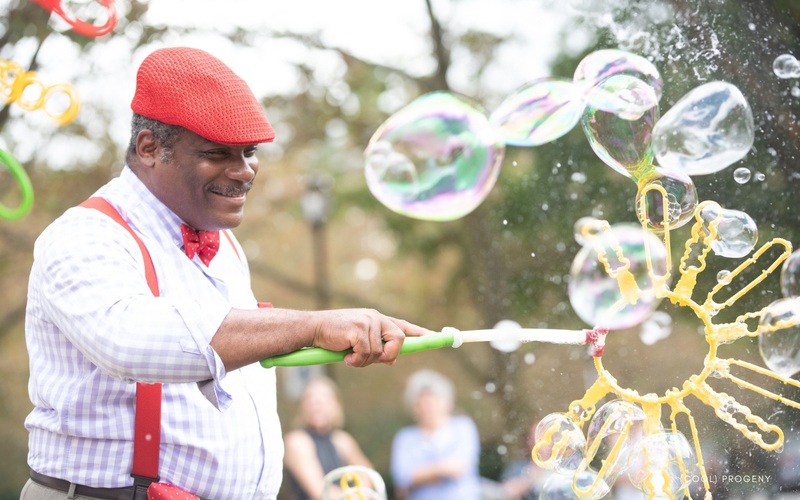 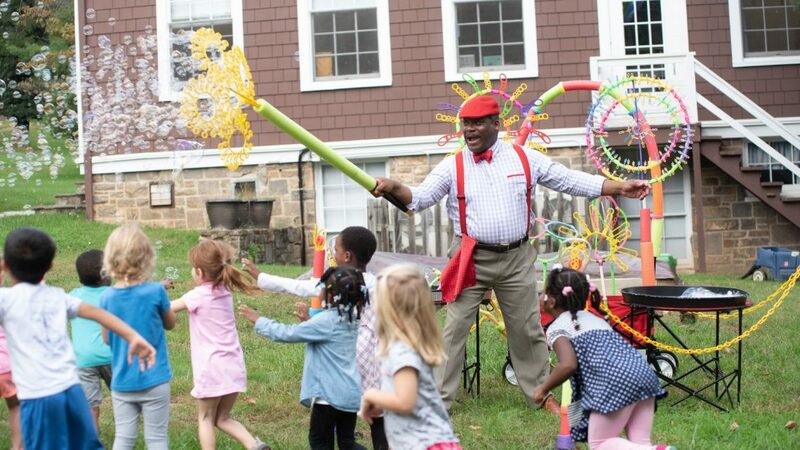 “We started with our curiously colorful handheld bubble blowing machines and now we make our own festival-style bubble wands,” said Mark, cohost of “Angelo and Marie’s Fantastic Bubble Show.” The festival-style wands are designed to delight and add whimsy to any event. 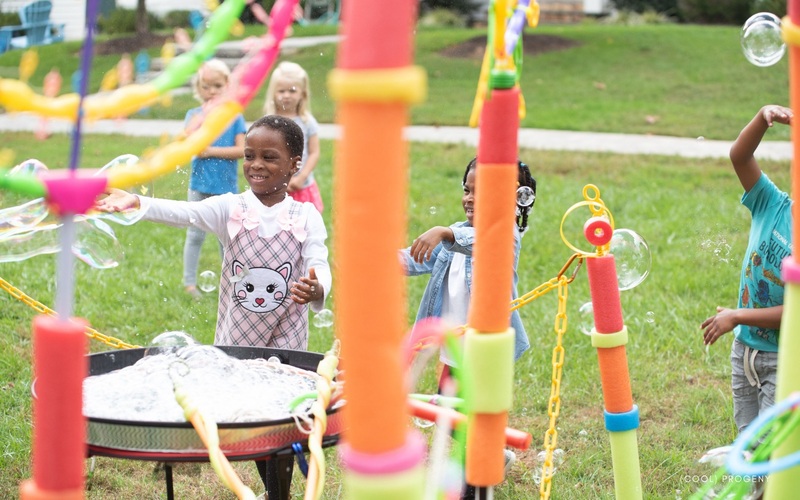 The combination of the art and science of bubbles fascinates Mark, who credits his MICA education in helping him to imagineer colorful new wand designs. 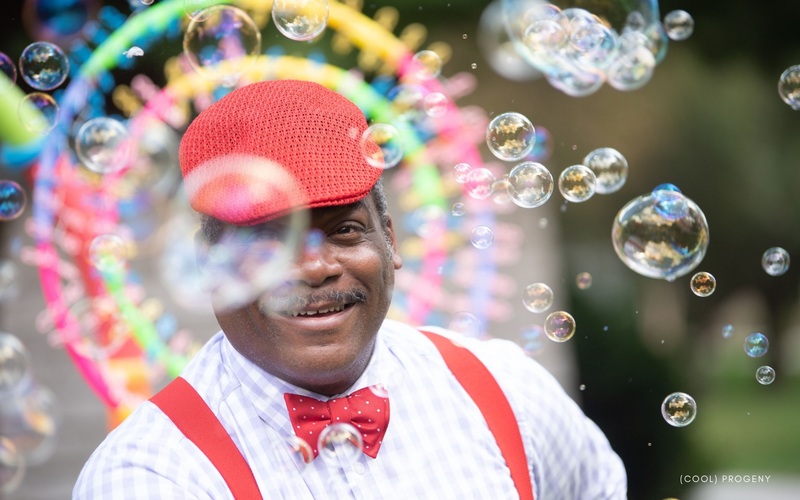 Mark designs and creates all of the wands and apparatus used in the bubble show. 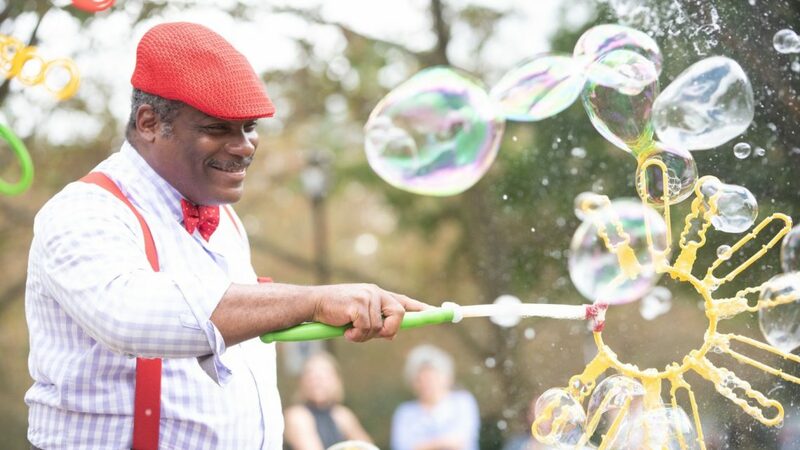 Before becoming affectionately known as “Baltimore’s Bubble Man,” Mark was a web/software developer, artist, writer. 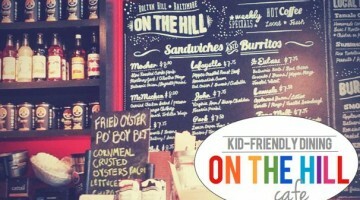 Brenda works in human resources business services at Johns Hopkins University. 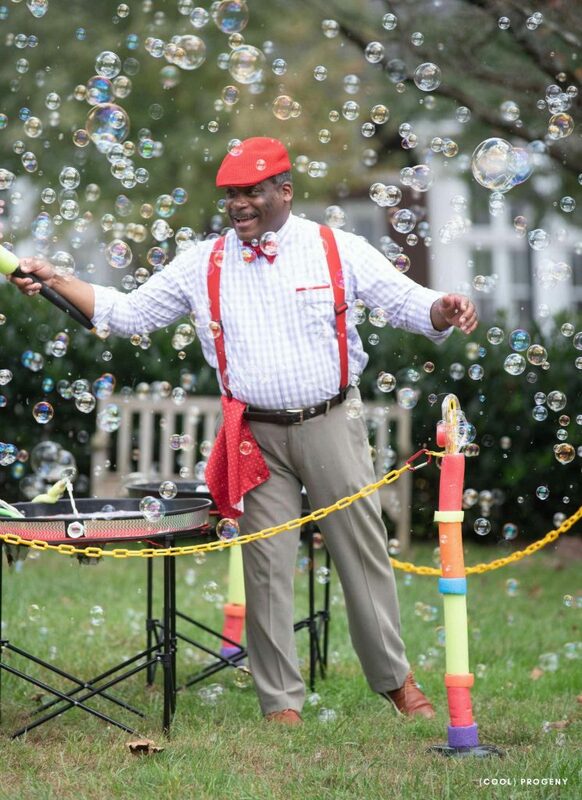 What made the two take on a second career in bubbles? 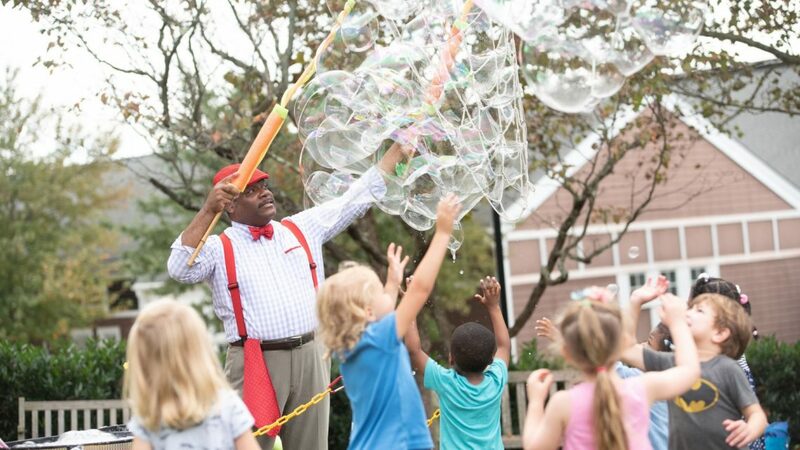 Nostalgia and penchant for helping other remember their childhood innocence. 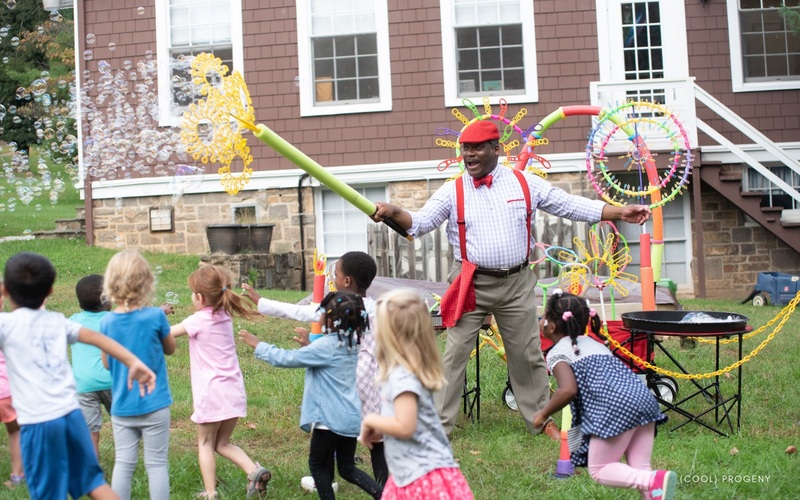 “The most gratifying thing is to be able to instantly transport unsuspecting adults in the audience back to their earliest childhood sensations long forgotten that they can now share with their own children,” said Mark. 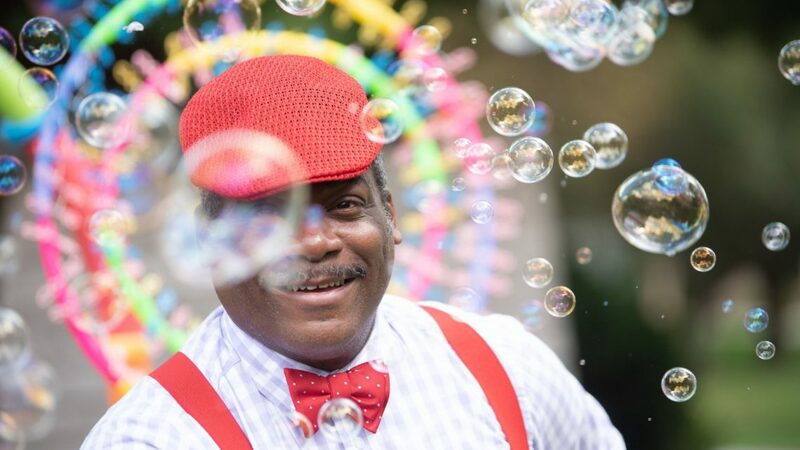 When not performing, Mark composes music, paint pictures and, of course, creates conceptual designs of new and unique bubble wands. 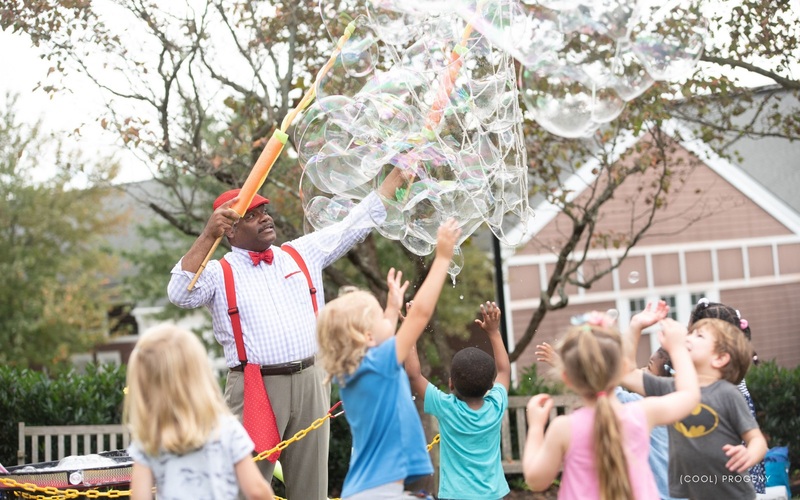 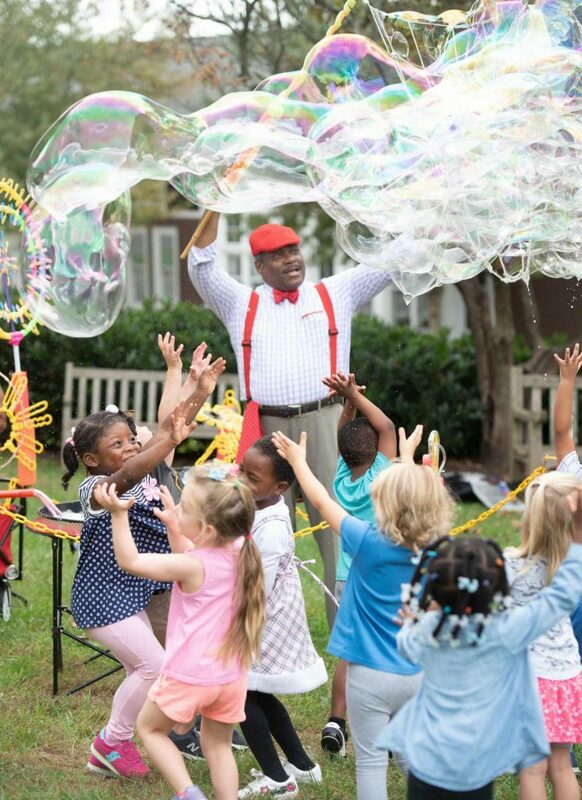 Angelo and Marie take their bubble show to community events, family reunions, schools, and parties. 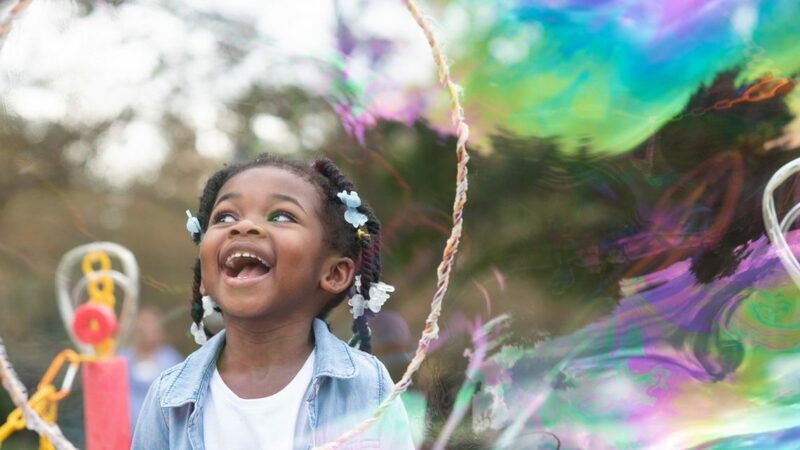 New designs ensure that they continually wow the crowd — and spread love through bubbles. 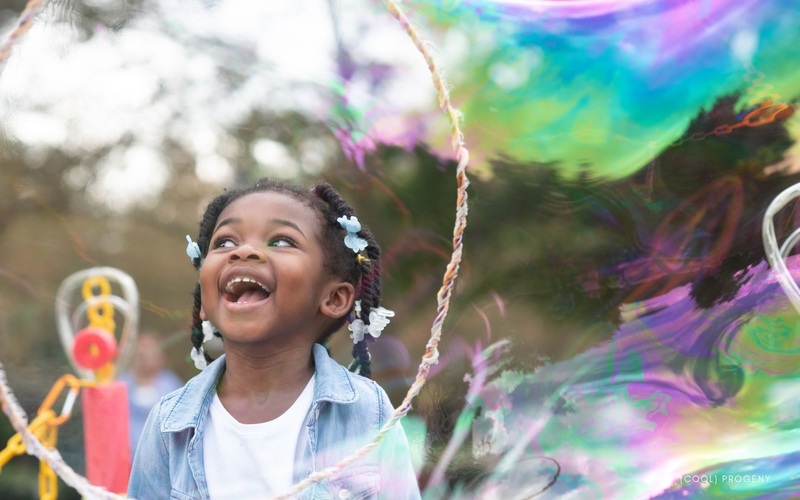 Kids especially love finding themselves inside giant bubbles! 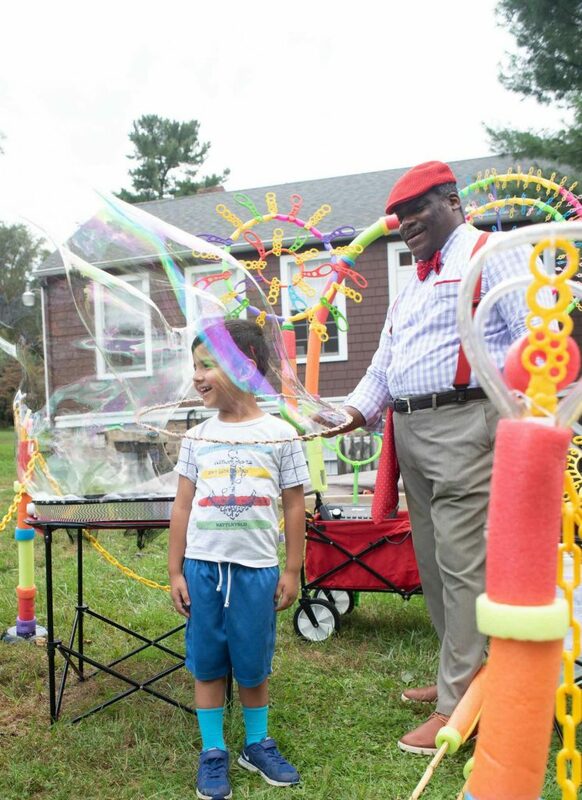 To learn more about Angelo and Marie’s Fantastic Bubble Show, visit their website or Facebook page.